This curio features a modern style that is unique and stunning. The lower mirror strip pops again the platinum finish. Turned legs add a feminine touch of elegance. 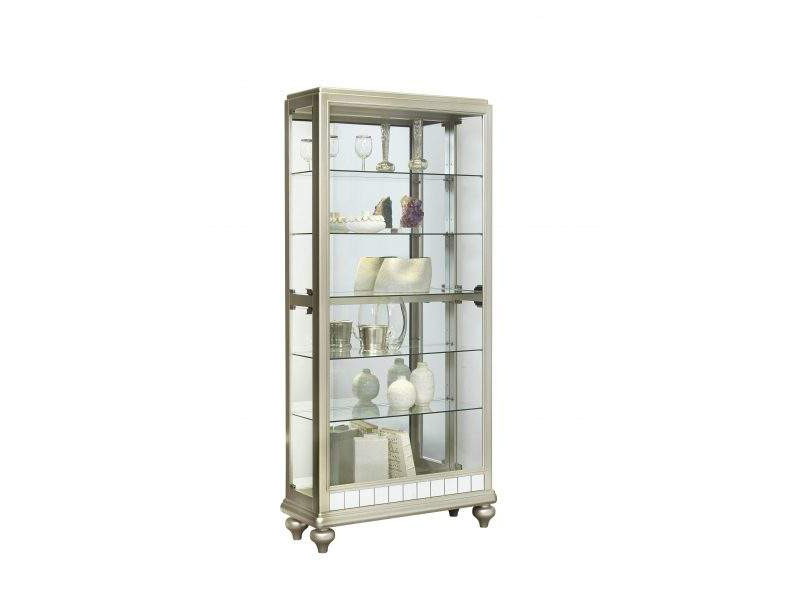 Add glamor to any space with this Curio.